Florida st.: Florida 100. Mon to Fri from 9 AM to 6 PM; Sat and holidays from 10 AM to 3 PM. 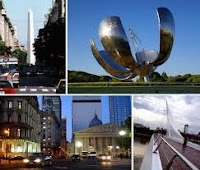 Puerto Madero: Alicia Moreau de Justo Ave. 200, Dock 4. Mon to Sun from 11 AM to 7 PM. Recoleta: Quintana Ave. 596. Mon to Fri from 10.30 AM to 6.30 PM; Sat and Sun from 11 AM to 7 PM. San Telmo: Defensa St. 1250. Sat and Sun from 11 AM to 7 PM. Retiro: Retiro Bus Station, shop N° 83. Mon to Sat from 7.30 AM to 1 PM. 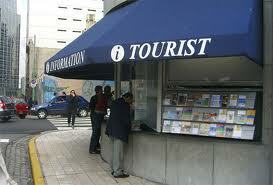 - Tourist Police Office: Corrientes Ave. 436. Te: (54 11) 4346-5748 / 0800-999-5000. Its staff speack in English, Italian, French, Portuguese, and Ukrainian. - Ezeiza International Airport: International Hall. Mon to Fri from 10 AM to 5 PM. Information: Te: (54 11) 5480-6111. - Jorge Newbery Airport: Aerolíneas Argentinas Central Hall. Mon to Fri from 10 AM to 5 PM.Information: Te: (54 11) 5480-6111. - Tourist Ombudsman´s Office: Pedro de Mendoza 1835. Te: (54 11) 4302-7816. Mon to Sun from 10 AM to 6 PM.